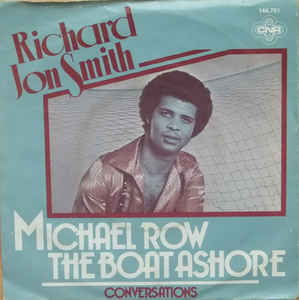 Richard Jon Smith’s ‘Michael Row The Boat Ashore’ became the 12th song to manage 8 weeks at 1 as it clung to the top spot. Only 2 other local songs had manged 8 or more weeks at 1 so far and they were Clout’s ‘Substitute’ (8 weeks) and Charisma’s ‘Mammy Blue’ (12 weeks). Gloria Gaynor’s ‘I Will Survive’ set a new record for consecutive weeks at 2 as it spent a 6th straight week there. There had been 5 songs that had managed 5 consecutive weeks at 2 (see last week’s entry for a list). This also set a new record of 6 weeks with the top 2 unchanged. Richard Jon Smith was the 22nd act overall to reach 8 weeks at 1. Racey’s ‘Some Girls’ was the climber of the week with an 11 place jump from 15 to 4. This was the 40th time we had seen a song climb 11 or more in a week and the 5th time in 1979 we had seen it happen. This was the record to date for number of 11 or more place climbers in a calendar year, equalling what we had seen in 1968. There were 4 other star raters this week and they were Eruption’s ‘One Way Ticket’ (up 4 from 9 to 5), Chilly’s ‘For Your Love’ (up 9 from 17 to 8), Supertramp’s ‘The Logical Song’ (up 5 from 14 to 9) and Boney M’s ‘Hooray! Hooray! It’s A Holi-Holiday’ (up 4 from 16 to 12). Chilly’s hit was the 21st song to climb 9 or more without picking up the climber of the week award. Of those 21 there had been 5 that had made a record to date 10 place climb but not been the climber of the week. Boney M’s star rater was their 8th and they were the 45th act to accumulate this many. In contrast to the number of star raters, there was just 1 faller of the week and that was Anne Murray’s ‘You Needed Me’ which dropped 9 from 8 to 17. This was the 24th time a song by a Canadian act had been the faller. This includes the 2 times that ‘Yes, Mr Peters’ had been the faller of the week. That song was a duet by Canadian Steve Karliski and American Mimi Roman. Frankie Miller’s ‘Darlin’ was still the oldest on the charts, enjoying its 16th week with us and its 5th as the oldest. Two songs left the charts this week, the first of which was Clout’s ‘Save Me’. It had seen a run of 13 weeks and peaked at 7, a better showing that their previous hit, ‘You’ve Got All Of Me’, which managed 5 weeks and peaked at 16, but fell way short of the 20 weeks and peak at 1 which their only other hit to date, ‘Substitute’, had managed. There was still one more to come from them. Also going was Dire Strait’s ‘Sultans Of Swing’ which managed a run of 12 weeks and a peak of 3 which was not too bad a start to their SA chart career, although we would have to wait a while to see them on our charts again. ‘Knock On Wood’ had ben around since 1966 when Eddie Floyd and Steve Cropper (of Booker T & The MG’s) wrote it and Floyd recorded it. His version went to 28 in the US and 19 in the UK. However, in 1979 Amii Stewart recorded a disco version which became a world wide smash hit, which included being the first of the new entries on our charts this week. Her version would go to number 1 in Canada and the US and number 2 in Australia, France, Italy and Switzerland. It would also make the top 20 in Austria, Belgium, The Netherlands, New Zealand, Sweden and Zimbabwe. In the UK it went to number 6. A remixed version in 1985 propelled the song back in the UK charts, reaching 7 that time around. Wing’s returned to the chart with their 5th hit to date, ‘Goodnight Tonight’. Paul McCartney had also had 3 hits under his own name and he was by far the most successful Beatle in a post Beatle world. His 8 hits were 4 ahead of John Lennon and Ringo Starr’s respective hits count and 5 ahead of George Harrison. ‘Goodnight Tonight’ would go to number 5 in both the UK and the US but of all the nations it charted in, Canada was the one where it was most popular, going to 2 there. The song began life as an instrumental backing track that McCartney had recorded the year before but a vocal and some more instrumentation was added to make a single to help promote Wings’ Back To The Egg’ album, although interestingly, the single did not appear on the album. We had now seen 32 songs make our charts that had a Beatle involved in it. This was made up of 4 Beatles hits, 19 by solo Beatles or, in Paul’s case included hits by the new band he formed, 3 covers of Beatles hits, 1 cover of a John Lennon solo hit, 2 songs by other artists but produced by Paul McCartney and a further 2 produced by George Harrison and finally 1 song which Paul wrote, but was recorded by another artist (David Cassidy’s ‘Tomorrow’). After it’s recent high of 34, the gap between the number of hits the Americans had brought us and those that the British acts had managed was slowly dropping and was now at 31 with the Yanks on 528 and the Poms on 497. Counting Boney M as a Jamaican act meant that Jamaica now pulled 1 ahead of France for weeks in the charts by acts from those nations. Jamaica was at 9 and France 10th overall. The departure of Clout from the top 20 meant that we were down to just 2 local songs in the top 20 (‘Michael Row the Boat Ashore’ by Richard Jon Smith and ‘Kruidjie-Roer-My-Nie’ by Anton Goosen). It wasn’t that long ago that we had seen a local act drought on the charts but had recovered with the total getting back up to 4 at its peak, but things were not looking great.